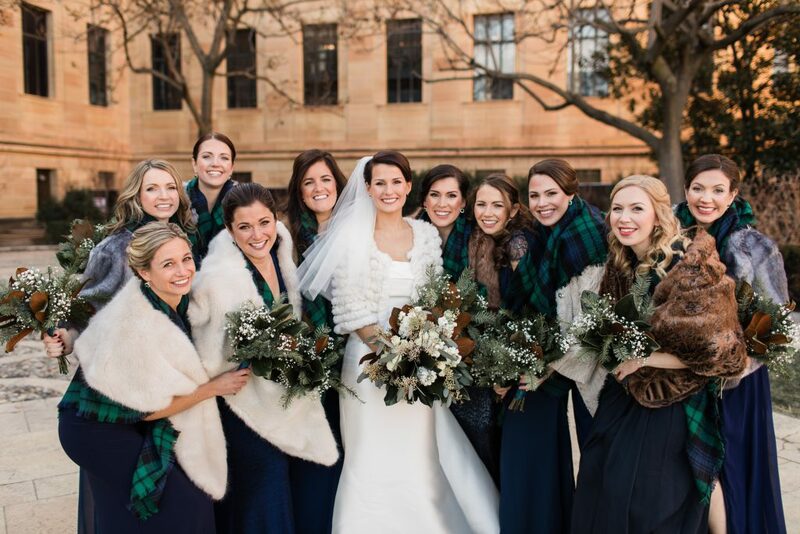 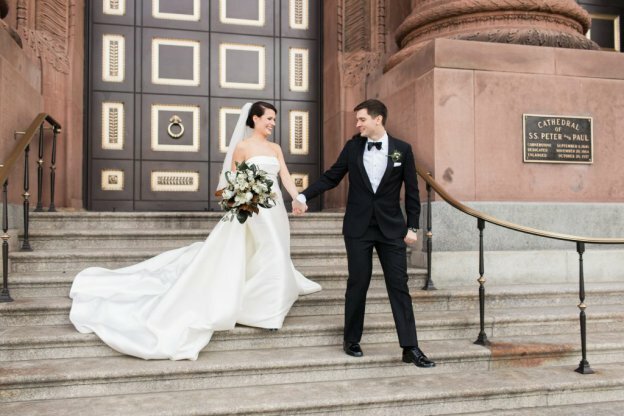 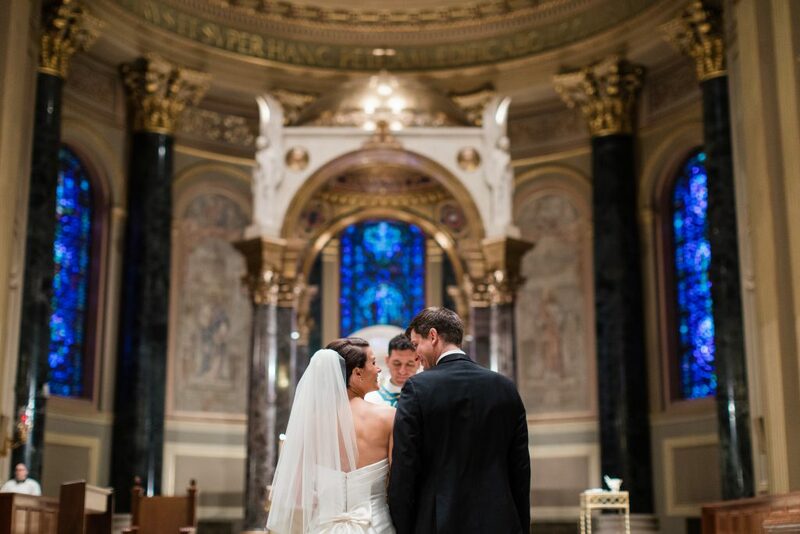 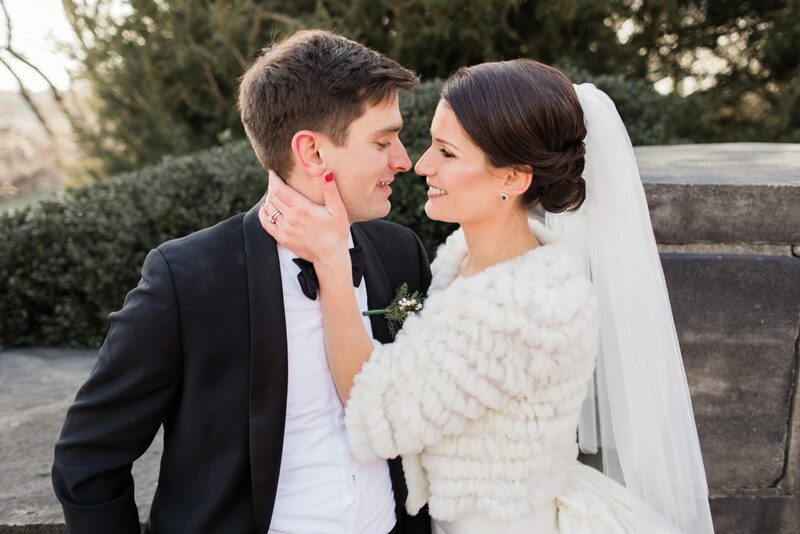 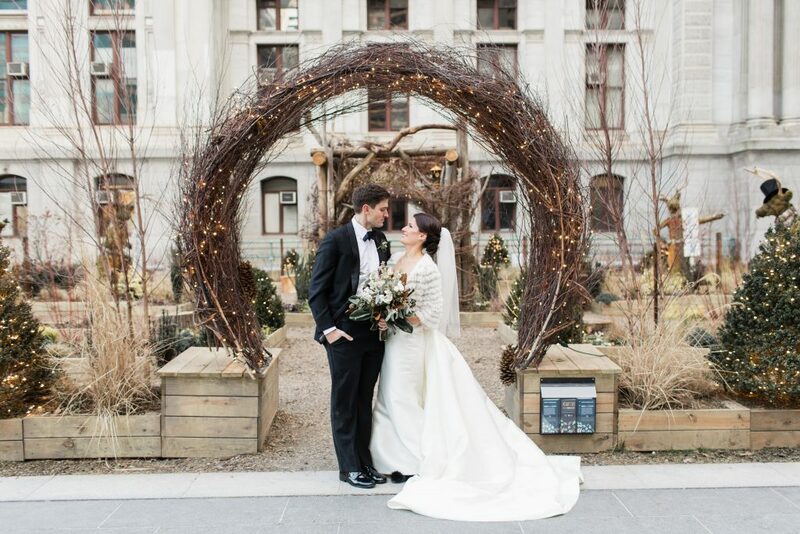 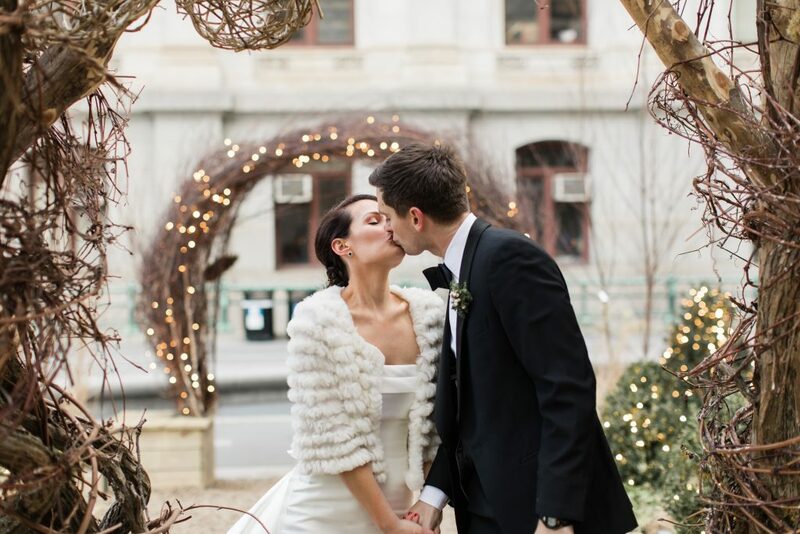 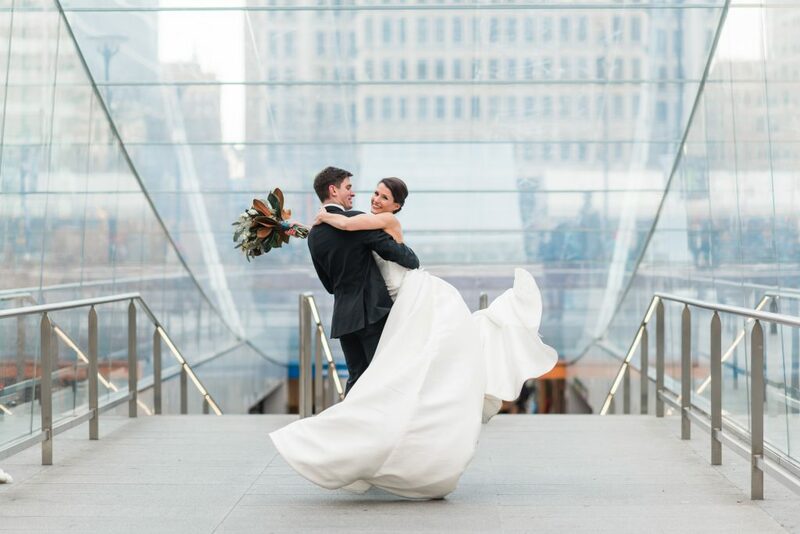 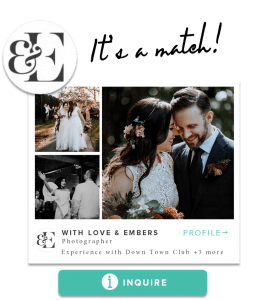 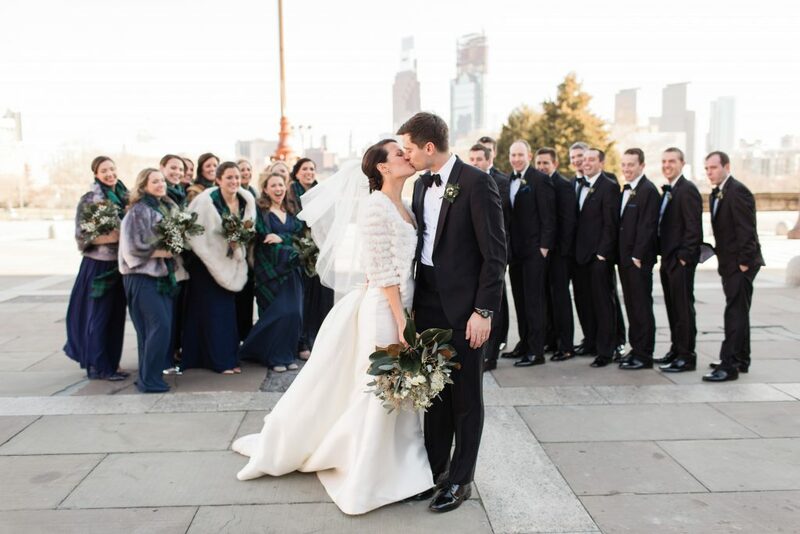 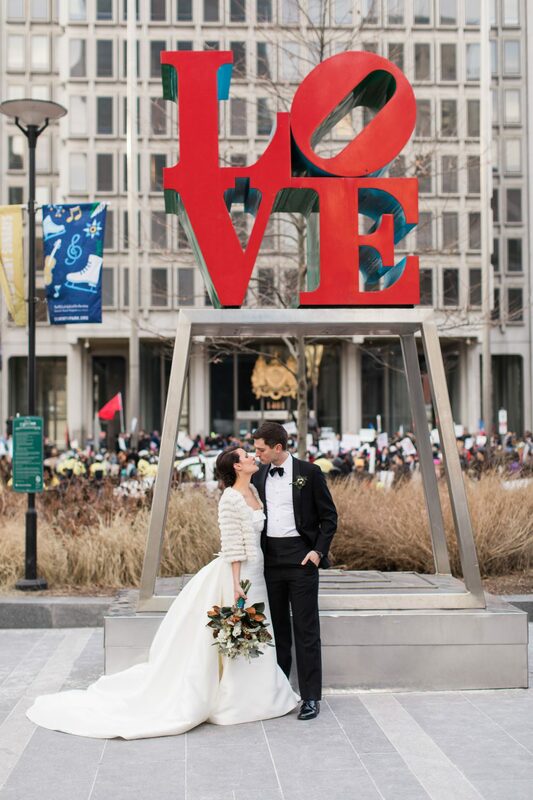 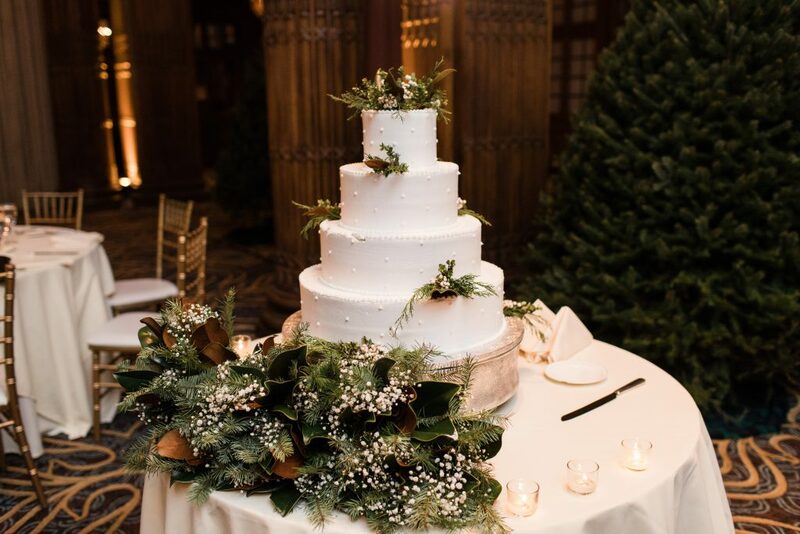 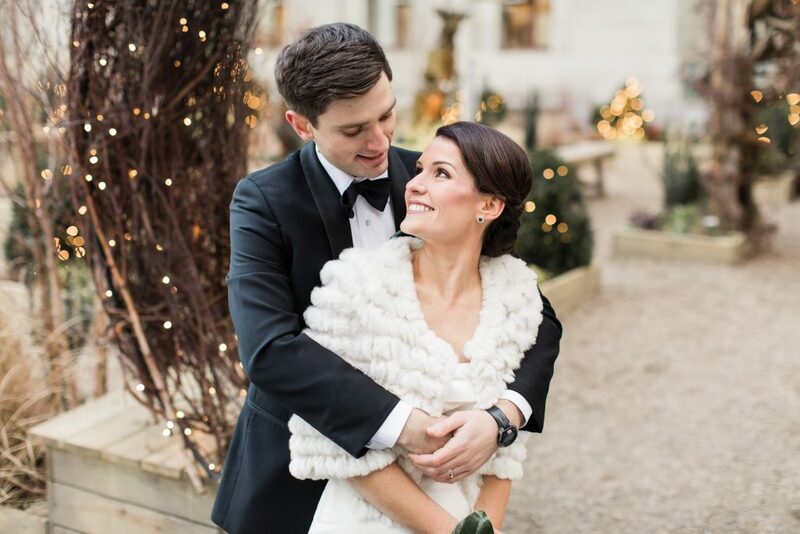 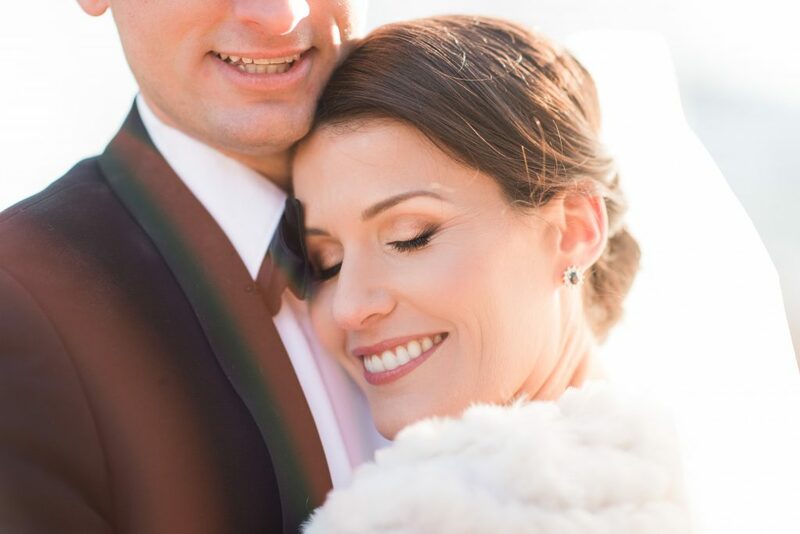 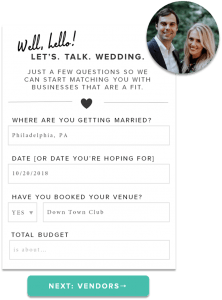 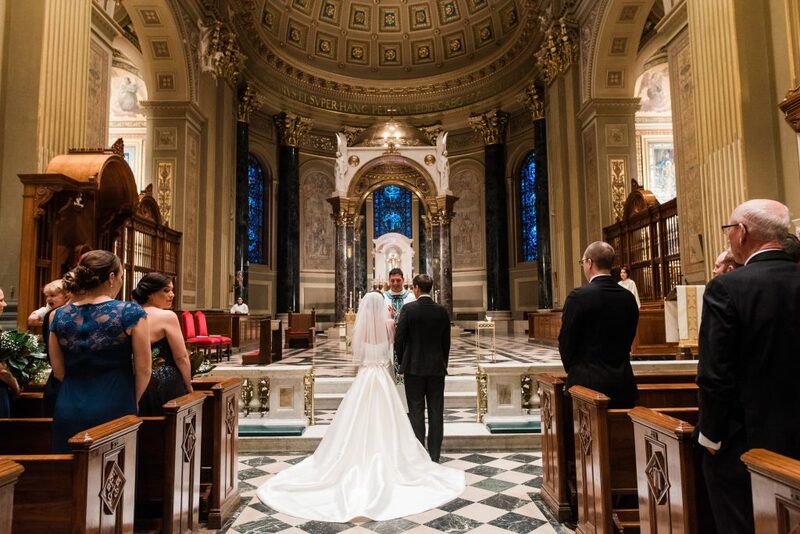 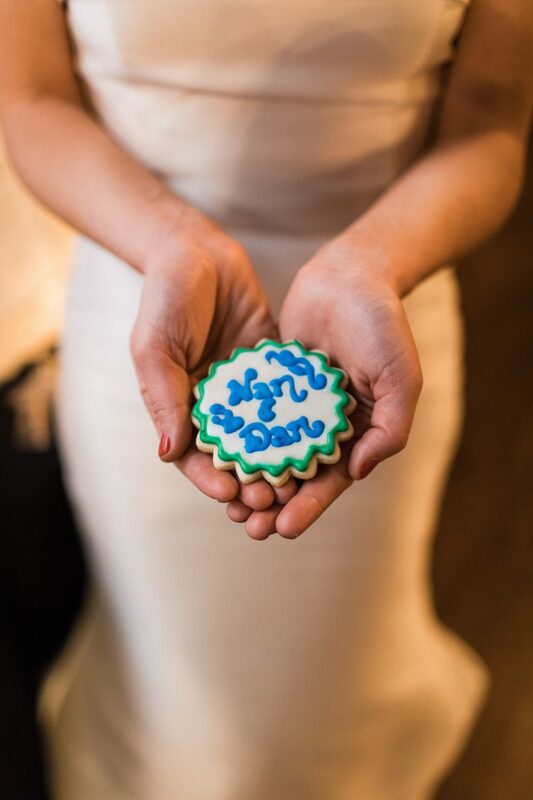 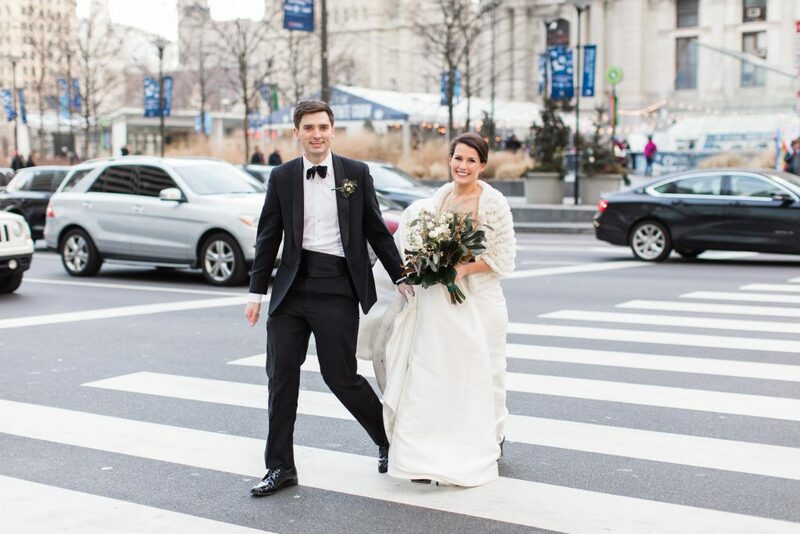 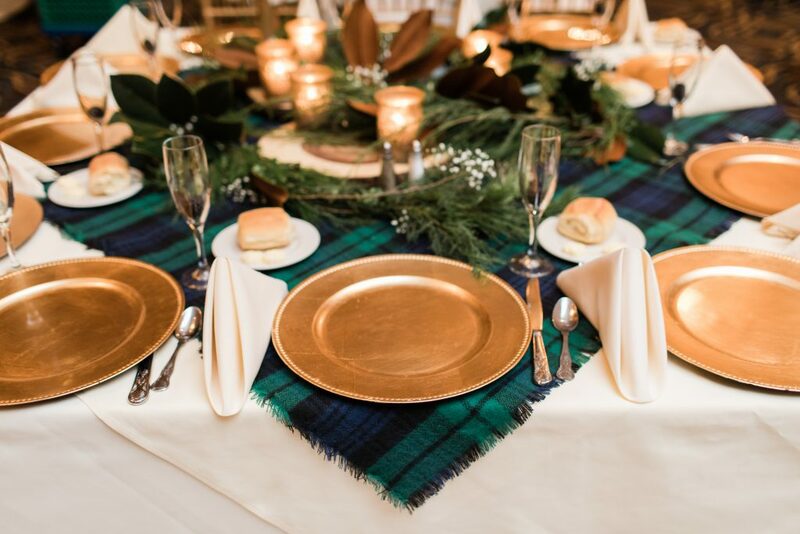 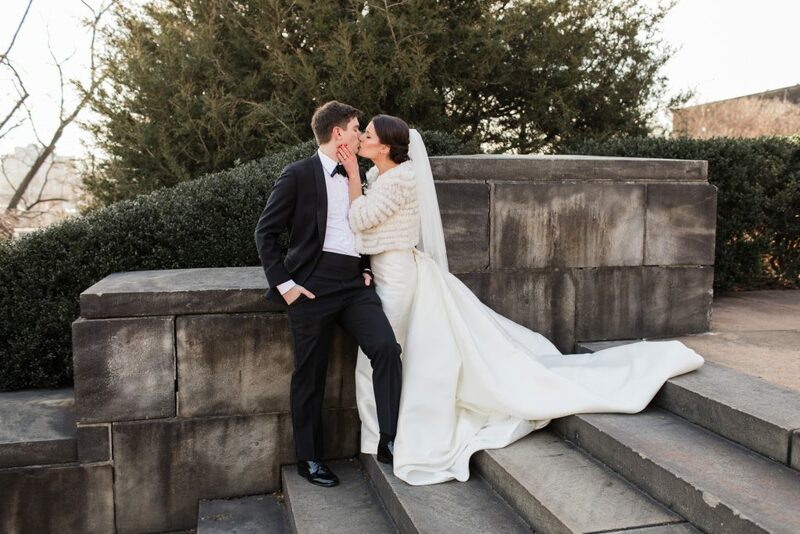 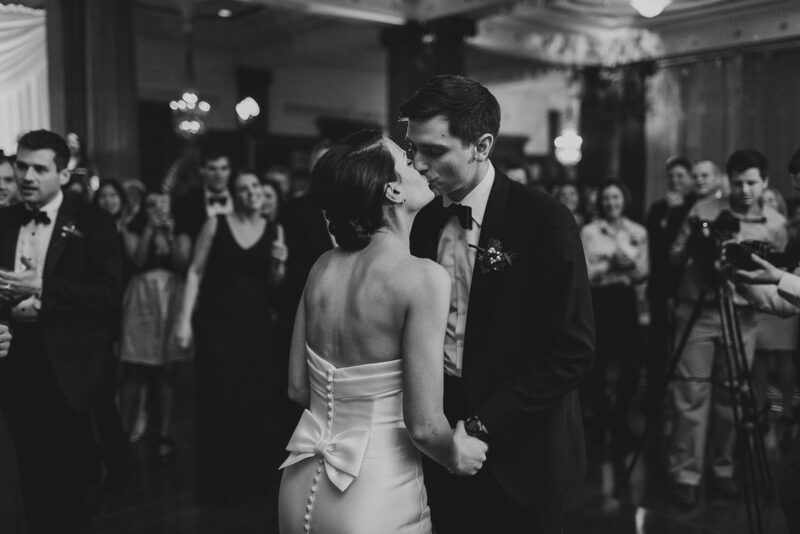 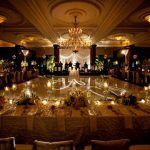 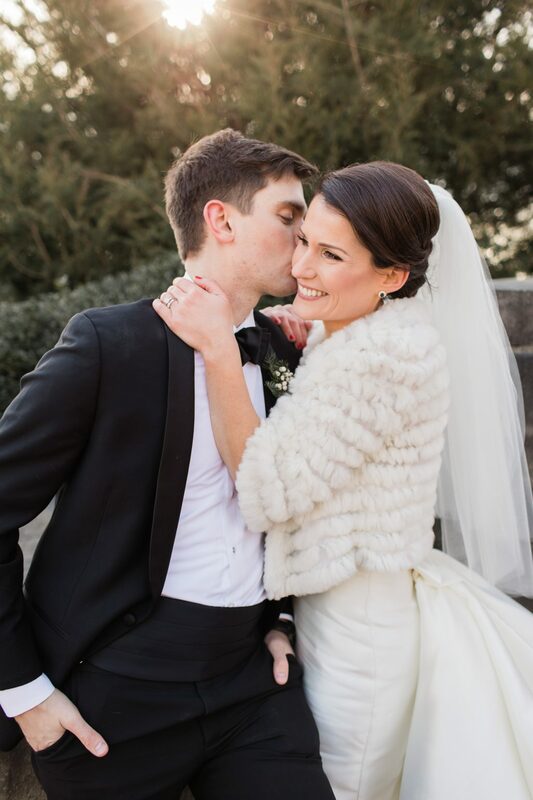 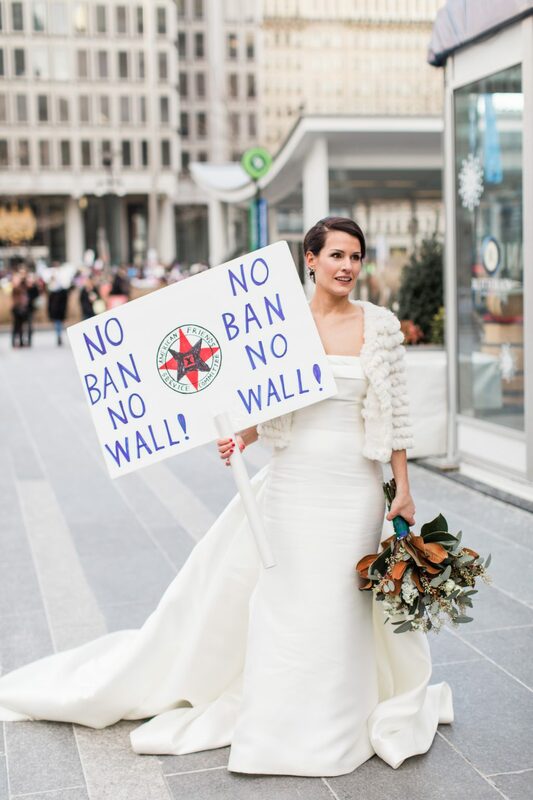 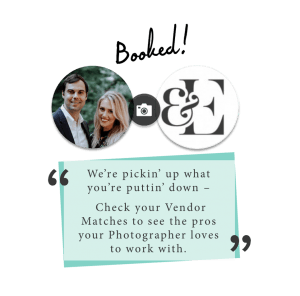 Nan and Dan were married at the Crystal Tea Room in Center City Philadelphia on a beautiful winter day in February. 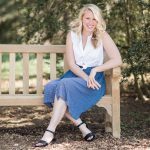 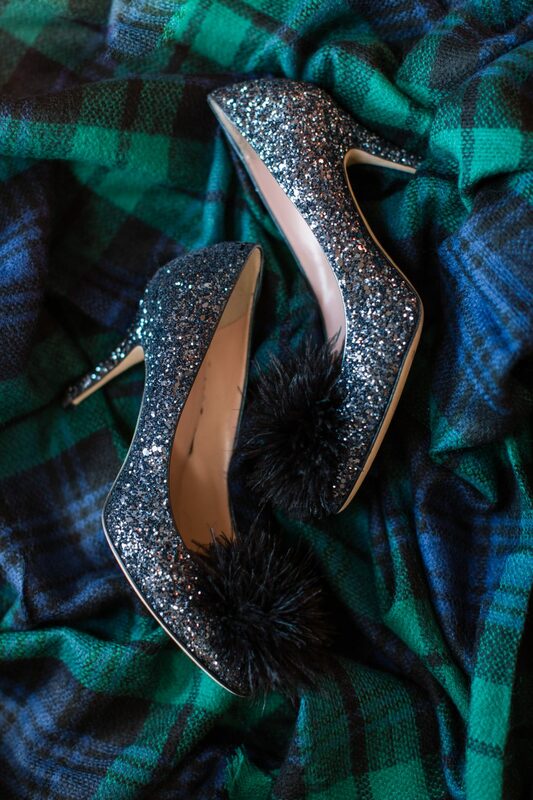 The bride's glittery Kate Spade heels! 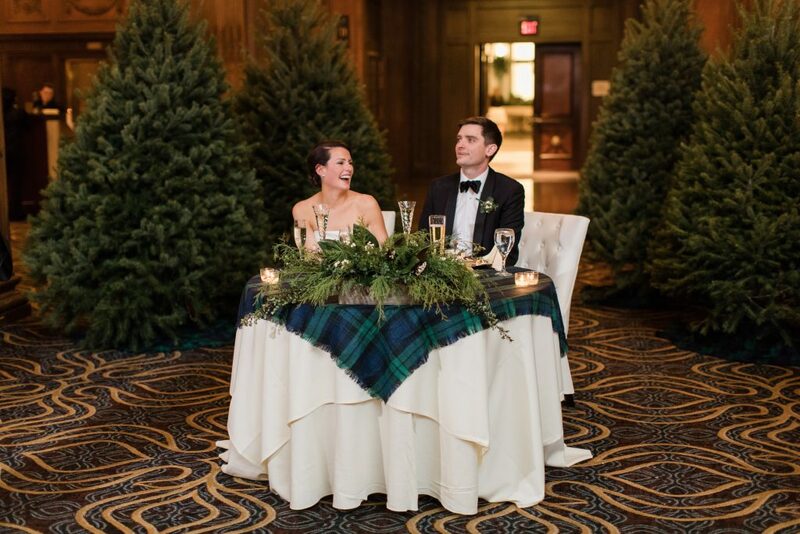 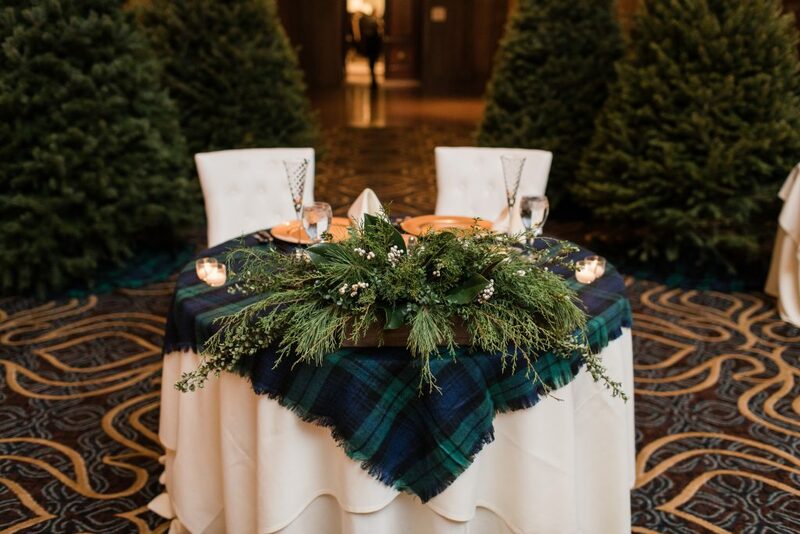 Nan wanted to bring winter inside with these beautiful evergreen trees!